If you’re looking for a travel case for your Sharp TV screen, you’re in capable hands with Absolute Casing Ltd! 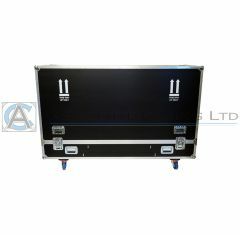 The Sharp screen flight case range from Absolute Casing Ltd has been carefully designed to ensure your TV screen remains safe and secure throughout transit and storage. Our Sharp TV travelling cases are built to perfectly fit your Sharp screen model providing you with a protective screen road case that you can trust. Our Sharp TV flight cases have been carefully designed to be durable and provide your Plasma, LED and LCD screens with high-quality protection. 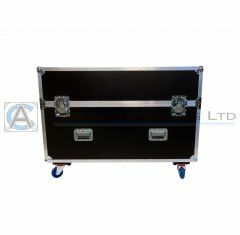 Our Sharp flight cases are manufactured to fit your exact screen model and size. If you can’t find the size that you’re looking for; please contact us to discuss your requirements.